December 15, 2016 – CHIKARA: Travis Huckabee defeated Nytehawk. December 22, 2016 – CHIKARA: Solo Darling and Travis Huckabee defeated The Bloc Party (Mr. Azerbaijan and The Proletariat Boar Of Moldova). Princess KimberLee defeated Solo Darling. Travis Huckabee was also in the Infinite gauntlet match won by Dasher Hatfield. December 29, 2016 – CHIKARA: Max Smashmaster defeated Travis Huckabee. December 29, 2016 – CHIKARA: Cornelius Crummels and Sonny Defarge defeated Solo Darling and Travis Huckabee. February 4, 2017 – National Pro Wrestling Day: Travis Huckabee defeated Fly Warrior and Sonny Defarge and Travis Gordon in a 4-way elimination, 1st round match. The Whisper defeated Travis Huckabee in the semi-finals of the Young Lions Cup. February 12, 2017 – CHIKARA: Silver Ant defeated Travis Huckabee. March 5, 2017 – CHIKARA: Cajun Crawdad, Cornelius Crummels, Rock Lobster and Sonny Defarge defeated Los Ice Creams (El Hijo del Ice Cream & Ice Cream Jr.), Solo Darling and Travis Huckabee. March 19, 2017 – CHIKARA: Jeremy Leary defeated Travis Huckabee. March 31, 2017 – CHIKARA: Fire Ant, Icarus, Ophidian, Solo Darling and Travis Huckabee defeated Cajun Crawdad, Hermit Crab, Juan Francisco de Coronado, Merlok and Wani. April 1, 2017 – CHIKARA: The Colony (Fire Ant and Silver Ant) defeated Los Ice Creams (El Hijo del Ice Cream and Ice Cream Jr.), Legion Of Rot (Frightmare and Hallowicked) & Solo Darling and Travis Huckabee in a 4-way tag team elimination match. April 23, 2017 – CHIKARA: The Whisper defeated Travis Huckabee. April 29, 2017 – Blitzkrieg Pro: JGeorge defeated Isaiah Rex, Narciso Rex, Perry Von Vicious, Ryan Malice, Travis Huckabee and Mr. 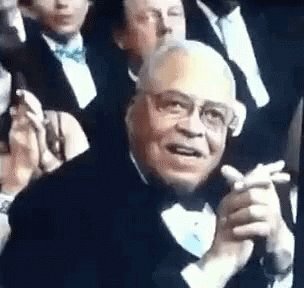 Grim in a 7-way match. May 27, 2017 – CHIKARA: Travis Huckabee defeated The Proletariat Boar Of Moldova. June 2, 2017 – Blitzkrieg Pro: Xavier Bell defeated Hermit Crab, RJ Rude, Scott Wild, Skylar and Travis Huckabee in a 6-way match. June 4, 2017 – CHIKARA: The Rumblebees (Solo Darling and Travis Huckabee) defeated Cajun Crawdad and Hermit Crab. June 18, 2017 – CHIKARA: Rory Gulak defeated Travis Huckabee in the 1st round of the Johnny Kidd Invitational. July 8, 2017 – CHIKARA: The Rumblebees (Solo Darling and Travis Huckabee) defeated Cornelius Crummels and Sonny Defarge in a best 2 out of 3 falls match to win the CHIKARA Campeonatos de Parejas titles. Los Ice Creams (El Hijo del Ice Cream and Ice Cream Jr.) defeated The Rumblebees (Solo Darling and Travis Huckabee) in a best 2 out of 3 falls match to win the CHIKARA Campeonatos de Parejas titles. July 23, 2017 – CHIKARA: The Rumblebees (Solo Darling and Travis Huckabee) defeated The Force (Officer Bruno Meloni and Officer Warren Barksdale). August 5, 2017 – CHIKARA: The Furies (Fire Ant, Icarus, Solo Darling andTravis Huckabee) defeated Cornelius Crummels, Kobald, Oleg The Usurper and Sonny Defarge. August 20, 2017 – PWE: Liam Worldwide defeated Travis Huckabee. 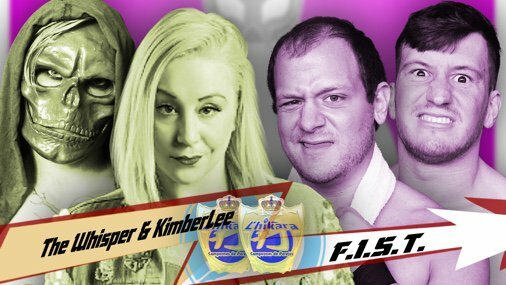 September 1, 2017 – CHIKARA: The Furies (Fire Ant, Solo Darling and Travis Huckabee) defeated Kyle Fletcher, Millie McKenzie and Omari in the 1st round. September 2, 2017 – CHIKARA: The Legion Of Rot (Frightmare, Hallowicked and Kobald) defeated The Furies (Fire Ant, Solo Darling and Travis Huckabee) by disqualification in the quarter-finals. September 3, 2017 – CHIKARA: Los Ice Creams (El Hijo del Ice Cream & Ice Cream Jr.) defeated CCK (Chris Brookes & Kid Lykos) and Cajun Crawdad & Hermit Crab and Emeritus Midnight & VASYL and Millie McKenzie & Omari and Solo Darling & Travis Huckabee and The Throwbacks (Dasher Hatfield & Mark Angelosetti) and Adam Chase & Zayas and The Hunter Brothers (Jim Hunter & Lee Hunter) and Dez Peloton (Donald Kluger & Jasper Tippins) in a tag team gauntlet. October 7, 2017 – Blitzkrieg Pro: RJ Rude vs. Travis Huckabee ended in a time limit draw. October 15, 2017 – CHIKARA: Rory Gulak defeated Travis Huckabee. October 28, 2017 – CHIKARA: Travis Huckabee defeated Everett Connors. November 4, 2017 – WrestleJam 16: Jonathan Gresham defeated Jay Freddie and Travis Huckabee in a 3-way match. November 11, 2017 – Excellence: Buck Gunderson defeated Travis Huckabee. November 18, 2017 – CHIKARA: Dasher Hatfield & The Rumblebees (Solo Darling and Travis Huckabee) defeated Cornelius Crummels, Juan Francisco de Coronado and Sonny Defarge. November 19, 2017 – CHIKARA: The Furies (Fire Ant, Solo Darling and Travis Huckabee) defeated Jeremy Leary, Rory Gulak and Sloan Caprice. December 2, 2017 – CHIKARA: The Rumblebees (Solo Darling and Travis Huckabee) defeated Cornelius Crummels and Sonny Defarge. January 13, 2018 – Excellence: Travis Huckabee defeated Clutch Adams. January 26, 2018 – PWE: Cheeseburger defeated Travis Huckabee. January 28, 2018 – CHIKARA: Travis Huckabee defeated Gran Akuma. February 2, 2018 – CW: The Rumblebees (Solo Darling & Travis Huckabee) and Green Ant defeated El Hijo del Ice Cream, The Lithuanian Snow Troll and The Whisper. February 17, 2018 – CHIKARA: Rory Gulak defeated Travis Huckabee. February 24, 2018 – CHIKARA: Icarus defeated Travis Huckabee. March 10, 2018 – NOVA: Cabana Man Dan defeated Travis Huckabee. March 17, 2018 – CHIKARA: The Rumblebees (Solo Darling and Travis Huckabee) defeated The Whisper and Troll to qualify for the Tag World Grand Prix. April 14, 2018 – CHIKARA: The Rumblebees (Solo Darling and Travis Huckabee) defeated Janelope (Joey Janela and Penelope Ford) in the 1st round. The Creatures Of The Deep (Merlok and Oceanea) defeated The Rumblebees (Solo Darling and Travis Huckabee) in the semi-finals of the Tag World Grand Prix. May 5, 2018 – CHIKARA: Travis Huckabee was in the infinite gauntlet match won by Danjerhawk. May 11, 2018 – NOVA: Wheeler YUTA defeated Travis Huckabee in a dark match. May 12, 2018 – Blitzkrieg Pro: Green Ant, Mark Angelosetti and Thief Ant defeated Frightmare, The Whisper and Travis Huckabee. May 19, 2018 – CHIKARA: Travis Huckabee defeated Blanche Babish. May 26, 2018 – CHIKARA: The Throwbacks (Dasher Hatfield & Mark Angelosetti), The Rumblebees (Solo Darling & Travis Huckabee) and Thief Ant defeated The Legion Of Rot (Frightmare & Hallowicked), Cajun Crawdad, Rory Gulak and The Whisper in a tag team elimination match. June 8, 2018 – NOVA: Breaux Keller defeated Travis Huckabee in a dark match. June 9, 2018 – CHIKARA: Travis Huckabee defeated Rory Gulak in the 1st round. Travis Huckabee defeated Travis Santell in the semi-finals. Travis Huckabee defeated Colt Cabana to win the Johnny Kidd Invitational. June 23, 2018 – CHIKARA: Icarus and Travis Huckabee defeated Xyberhawx2000 (Danjerhawk and Razerhawk).